Causes of Hair Loss | What Causes Hair Loss? African-Americans and others who style their hair in "corn rows" or tight braids often suffer hair loss, because chronic pulling of the hair follicles (roots) slowly destroys them. This usually results in permanent hair loss of the frontal scalp. Pattern baldness is a genetic condition that usually afflicts men but also occurs to a lesser degree in women. 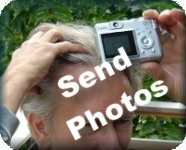 This condition, also known as male pattern baldness, is caused by excessive amounts of the hormone DHT, which attacks and destroys hair follicles, causing baldness on the top of the head. Excess DHT is caused by too much testosterone in the blood. This may occur naturally or be caused by certain pills and supplements. Hair loss may occur as a side effect of some medications and certain medical conditions. These include thyroid and anemic disorders. Hair will probably stop falling out if the medication is discontinued or the gland or organ is restored to normalcy, but in areas where hair follicles have died, hair won't regrow and a person may be left with permanently thinned hair or bald spots. Many of the pills, potions, gimmicks and gadgets on the market claiming to restore hair are ineffective or downright fraudulent. A few of them may produce some hair, often of marginal quality, but that hair may fall out when the drug or treatment is discontinued. Hair transplantation, or hair replacement surgery, is the one solution to hair loss that is permanent and that does not depend on ongoing, expensive medications or therapy. Hair transplantation is accomplished by making a small strip incision in an area where hair is plentiful, usually back of the head. This hair is plentiful because it has been genetically programmed to grow throughout life (even in cases of pattern baldness). This donor area is then sutured shut, with hair concealing it. Each small donor strip contains as many as three-thousand hair follicles. These are harvested, separated into units of two or three hairs, and inserted into tiny incisions in the bald areas of the scalp. The surgery requires just a local anesthetic. In most cases, two three-to-five-hour sessions are sufficient. In many cases patients are happy with just one or two sessions since the genetically fecund transplanted hair follicles will produce hair for the rest of one's life. Unfortunately for the unsuspecting public, it takes a bit of sleuth work to find a knowledgeable and highly experienced doctor. Such doctors are rare, and most people naively assume that plastic surgeons and dermatologists who do a few hair replacement surgeries a month will do a good job. Others fall for hair transplant companies that are merely sales offices, many importing inexperienced doctors. The results can be disastrous: "doll's head hair," (unnatural-looking plugs or tufts of hair), freakish hairlines, scarring, and flaps. So how do you avoid these pitfalls? Look for a doctor whose sole focus is hair replacement and who performs this type of surgery every day, having performed thousands of procedures throughout his career. If a doctor is part of a large group working for a transplant company, or has been in practice just a few years, he may not be able to fulfill this criterion. Don't be afraid to ask how many cases the doctor has personally performed. Ask if you may observe a procedure. Most importantly, ask for the names of many, many patients whom you may call. If you meet resistance in obtaining any of this information, look elsewhere. You are not buying a car. You are making a decision which will determine your appearance for the rest of your life. If you insist on the best, you will be delighted with the results. Are there Adverse Results to using Hair Color? Can a Hair Transplant Improve Your Love Life?